To put it simply, publishing is about making concepts public; connecting people who create content with people who need that content. Roles in publishing exist across the media industry, involving not only the production of books and journals but also magazines, newspapers, business media, musical scores and graphics – to name a few! As our world becomes more technologically advanced, new multi-media formats also contribute to shifting industry opportunities, challenges and career paths. Publishing is a competitive industry, with notoriously few advertised entry-level positions. Whilst some organisations recognise this and are developing routes into the industry for a wider pool of candidates, these remain highly sought-after. The most common routes into publishing include postgraduate qualifications, work experience placements, graduate training schemes, networking and personal recommendations. Candidates with a strong work ethic and transferable skills developed via experience in other sectors, are also well regarded. What careers can I have in publishing? A career in publishing can vary depending on both the sector and department you work in. Contracts: working with editors and literary agents or the author to negotiate the terms of the contract. Design: reviewing the book and liaising with editorial and marketing to create a visual identity and oversee its implementation – from the jacket to the cover and interior. Digital: creating, implementing and maintaining new and existing web initiatives, including the organisation’s own web offering, online features and marketing campaigns. Editorial: acquiring and editing a manuscript, and seeing it through to publication. Managing Editorial: overseeing the whole editorial process, including working with both editorial and production to keep an eye on schedules for both the finished product and wraparound materials. Marketing: creating and producing creative campaigns, using methods such as digital and print advertising, social media and events, to promote and share the book with consumers. Publicity: from author signings to social media schedules and pitching to newspapers, television and radio, the team are the vital connection in promoting the book to the media. Production: overseeing the manufacturing process, from manuscript to book. This could include typesetting, working with suppliers and printers, and budgeting. Rights: managing the licensing of the rights of any original publication both at home and abroad. Common examples are translations, audio editions, sequels by other authors etc. Sales: working with outlets to ensure the book is readily available to consumers, such as online, bookshops, supermarkets etc. These are all on top of ‘business-as-usual’ operations, such as Human Resources, IT, Finance etc. Many organisations will also have additional departments such as audio, digital production (e-books), in-house distribution, packaging etc. If you’re interested in finding out about the different functions of each department, you could check out this handy guide by Book Jobs. You could also explore the different teams at Penguin Random House, the largest of the ‘Big Five’ publishing houses. Whilst MA courses in publishing are available (including at UCL!) and are an effective way to start building a network of contacts, it’s certainly not a requirement to work in publishing. 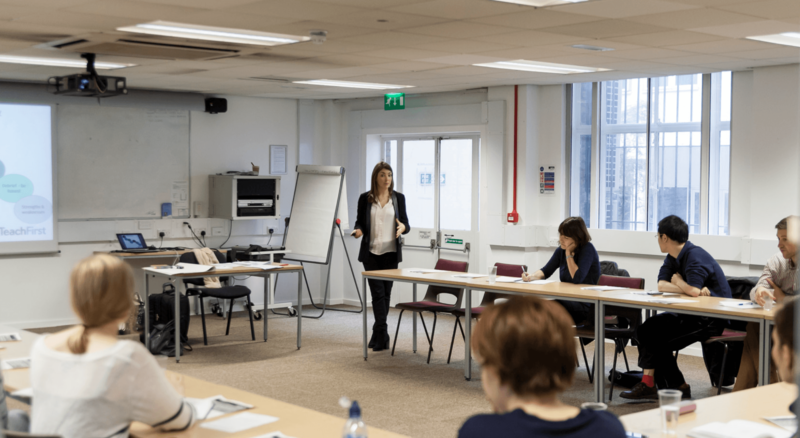 If you’re considering a postgraduate course, it’s just as important to think about you want to gain from the experience, and weigh this up against the cost implications and other ways to reach the same goals, such as work experience. There are also some technical roles where a related degree would be valuable – such as a designer or digital engineer. It is also a common misconception that the publishing industry focuses on hiring English or Literature graduates. In fact, it’s experience and drive that are vital proof of your motivation and skills for a career in the industry. There is no ‘one route’ into this industry, and it entirely depends on the type of role you are looking for. Some organisations highlight the importance of work experience when they hire for entry-level roles. Work experience is a great way to work with professionals in your area of interest, make connections and build up your skill set. Other organisations will readily accept candidates with experience in other fields that has given them transferable skills – think of it as the back door in. Spent time working at a digital marketing agency? That could have set you up with the skills you need to succeed in the digital team at a publisher. Getting jobs in the industry can also be influenced by referrals and recommendations, so it is useful to start building up your network as soon as possible. The BAME Trainee Programme from HarperCollins, a twelve-month rotational traineeship around the business in London. Last year, applications for places starting in October 2018 closed in mid-April. The Cambridge University Press Graduate Programme, a fifteen-month rotational programme experiencing different business streams. Last year, applications for places starting in September 2018 closed in February. The Scheme from Penguin Random House UK, six-month editorial traineeships for applicants from a BAME or socio-economically disadvantaged background. Last year, applications for places starting in September 2018 closed in May. The Fresh Chapters Traineeship at Hachette, a twelve-month BAME traineeship, half of which will be spent in editorial, and the other half in another department. Last year, applications for places starting in October 2018 closed in early July. Oxford University Press runs an eight-week internship programme for graduates throughout July and August. In 2018, the deadline for applying was in March. Penguin Random House has a summer internship that runs throughout July and August. In 2018 applications closed in April. They also recruits four times a year for paid two-week work experience placements. The Spare Room Project supported by Penguin Random House, also matches interns from outside London with people in the book industry who live in the capital and can offer them a place to stay. Hachette run Fresh Chapters, an eight-week internship programme in editorial, marketing or publicity as well as ongoing one week placements (advertised via Facebook and Twitter). Harper Collins offer an internship programme of up to six-months as well as four-week work experience opportunities (advertised via Twitter). Bloomsbury have a paid internship programme, with four intakes per year across Marketing, Publicity and Editorial. Recruitment for April 2019 will begin in February 2019. Blake Friedmann offer three-month internships on a rolling basis. They also run the Carole Blake Open Doors Project – a two-week, all-expenses-paid shadowing scheme for students from under-represented backgrounds. The Guardian offer two-week work experience placements in the Guardian and Observer Editorial departments, across a range of desks, typically between March-June and October-December. Applications for 2019 opportunities will close on 7 December 2018. Dorling Kindersley offer internship and work experience placements. Check back for opening times for 2019 internship opportunities, work experience applications are received on a rolling basis. The Publishers Association occasionally recruits for internships and short work experience. In fact, a lot of organisations will invite applications to work experience schemes via their websites. Remember not to disregard the smaller, more independent, publishing houses – their schemes are normally less over-subscribed and in some cases can last longer than an average fortnight placement. Find out more about upcoming Themed Week Events or catch-up on events you missed on the Themed Week archive. Is a job in the media industry for you? 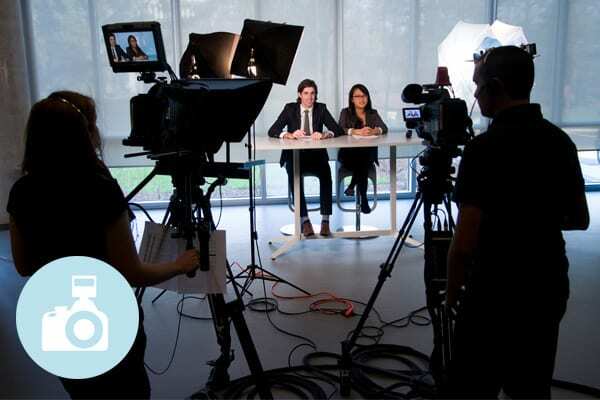 Has the Media industry caught your eye as the next step after your degree? This week we are putting the spotlight on this diverse and exciting sector. Perhaps you already know that PR is for you, or are you considering which role might suit you best within Publishing? Perhaps you have already tried your hand at documentary making! We have some fantastic speakers who have kindly given up their time to come and share their experiences as part of Media Week. The week kicks off on Tuesday evening with an insight into Publishing, where people working in a range of roles from freelance editing to trade marketing will take your questions. We are excited to have speakers from Penguin Random House, HarperCollins, Macmillan Children’s Books, Pearson Education join us. On Wednesday we will take a look at what it’s like to work within Film, TV and Radio. Again, this is an incredibly diverse industry so we have been sure to have a range of speakers including a director, commercial and freelance producers. On Thursday we’re delighted to have the UK’s number one ranked NCTJ journalism school News Associates join us to run a journalism workshop. Finally on Thursday evening we welcome speakers from the BBC, Lloyds Banking Group, Macmillan Cancer Support, Periscopix, Redscout and WPP to talk about the fast paced world of Advertising, Marketing & PR. Of course working in the Media is not all about partying with celebs! As with any job, there’ll be the good stuff and the more challenging parts. It’s important to consider what your expectations of working in a media role are. If you are looking for a 9-5 job, then it might not be for you! It often involves hard work and long hours, and at weekends. That said it can be positively challenging and rewarding. UCL Careers’ Media Week events give you the chance to find out what a ‘day in the life’ is really like and whether it might be for you. We appreciate the events have booked up quickly but we’re really pleased to say we will be recording each event and also writing a short blog, so if you’re not able to join us in person, you can still find out more. We will specifically break down the different areas and provide some top tips. A look at Prospects.ac.uk shows just how many roles there are within the Media industry. Prospects also breaks down the different roles within Advertising, Marketing & PR. Check out the different job profiles and watch this space for our next Media Week blogs! As part of UCL Careers’ Media Week back in December, we held a panel discussion on careers in TV, film, and radio. See below for a summary of top tips from our panellists. The next Media Week run by UCL Careers will take place in the autumn term of 2016. With panellists representing all three sectors (see here for bios), we heard some great advice about how to get into and progress in this popular and competitive industry. Some key highlights from the session are below and we would like to thank Kate, Eduardo, Matt, Anya and Alex for giving up their time to share their insights! > This industry is all about ideas. Note down your ideas, develop them, base them on things that really interest you. Don’t be afraid to share them – even if someone takes it, have a new one ready to go! Make documentaries about interesting people that you’ve met. > It’s also all about storytelling and people still love storytelling – even though the mediums may be changing, the premise is still the same. Social media is an easy way to reach audiences – make videos on your phone and share them with your friends. > Network network network! Make it your business to know everyone and for them to know you. Attend lots of events and make the most of them. Keep trying to maximise the changes of getting your first start in this industry. > If networking events aren’t your thing, make direct contact with someone and invite them for a coffee to have a one-to-one conversation. Ask them to recommend two people you should contact, and then act on that. > Play to your strengths – work out what you love and you’re good at. > Be prepared to go in at the bottom, work as a runner and make tea – just be good at it! Show lots of enthusiasm and talk to people (but also be aware if someone doesn’t want to be talked to!). If you ‘do your time’ in the lower roles, you will progress within the industry. > When you get to the researcher level, you will reach a “crossroads” and will need to determine whether you’d like to down the production route or the editorial side. It can be hard to move once you’ve decided so think hard about which you think is best suited to you. > If you want to work in TV you need to be able to collaborate, compromise and take criticism. > Most importantly: Be humble, focused and strong-willed. Get on with people, go for what you want and stay true to yourself. > The Roundhouse in Camden has lots of great initiatives, such as production courses, mentoring schemes, projects and master-classes. > The BBC has various short work experience schemes across different areas, such as television, radio, journalism and business. You are strongly encouraged to apply for these. > Creative Access has internship opportunities to help those in under-represented backgrounds get into a variety of roles. > So You Want to Work in Television? 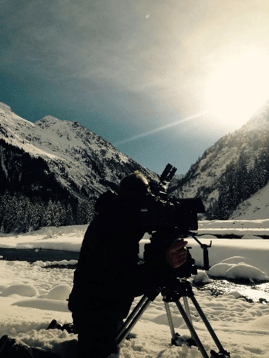 – advice on all matters relating to television production, presenting and pitching. Interested in media? Want to hear from professionals in the industry? We have a variety of events during our Media Week, 1st – 4th December 2015, that will give you a great insight into this popular sector! Panel events will involve talks from each panel member about their current role, their career path and tips on how you can progress. You will then be able to ask questions to the panel, so come prepared! The sessions will be followed by informal networking to allow you to follow up to any conversations started in the Q&A. Panel: Get into Publishing, 17.30-19.00. Hear panel members discuss their top tips for getting into this notoriously difficult industry. Speakers include Dr. Nina Buchan, a freelance Science and Medical Editor, and representatives from Sage Publications, HarperCollins, Collins Editing and UCL Press. Workshop: Journalism, 13.00-15.00. Two-hour workshop run by News Associates, the top UK journalism school. This session will involve you writing an article in a mock breaking news exercise. Spaces are limited and you will need to pay a returnable deposit. Panel: Get into Broadcasting – TV, Film & Radio, 17.30-19.00. 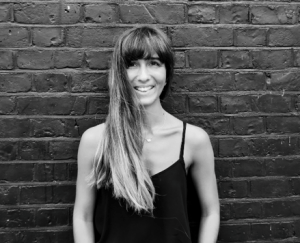 Speakers confirmed include a Director/Producer/Editor for Slack Alice Films, a Lead Producer for the BBC’s Digital Storytelling Team, a freelance Series Producer/Director/Cameraman, an Assistant Producer for BBC World Service and an Account Director at Precious Media. Presentation: What is Media Analytics?30-14.30. Media is changing. Data and analytics is key to delivering successful media campaigns and growing clients’ business. Find out more about this growing part of the sector in a presentation delivered by GroupM, global media investment group, and part of WPP. Panel: Get into Marketing, PR & Advertising, 17.30-19.00. Panel members include Claremont Communications, Lloyds Bank, Ogilvy, Periscopix, & Gerber Communications. Panel: CVs & Applications for Media Careers,00-14.00. Get top tips from industry professionals on how to make your applications stand out and what you can be doing now to increase your chances of securing a role in this industry. Panel members include Head of Commercial Marketing from The Guardian, the MD of Slingshot Sponsorship, an experienced media recruiter from SapientNitro and a guru around creative industries from CreativeSkillset. If you are interested in attending any of the above events, please sign up via your MyUCLCareers account. We look forward to seeing you! As part of our #UCLInspireMe series, Ben Weston, Head of Specialist Factual, Reef Television, talks to us about how he got this role and shares some tips for UCL students who want to get into the sector. How did you get your job? After graduating with a BA in Music from Oxford University I tried but failed to get into television. I was trying the route that everyone tried in those days – the BBC Production Training Scheme – but it was the most highly subscribed way to enter the business. I ended up working in a PR agency for two years and then in arts administration for three years before getting onto Granada Television’s management training scheme aged 26 and relocating to Manchester. I’ve worked in TV ever since. How did you decide what you wanted to do? I knew from my teens that television was something that really excited me. I also knew that music was my biggest passion, so the dream job would be something that involved both. But it took me many years to actually get to that point – by the age of 30 I was finally producing music on television and radio. Better late than never! How relevant is your degree to your job? I don’t think any degrees are specifically that relevant to a successful career in television, but it’s still good to have a degree in something. I’m a bit old-fashioned on this, so I’d also add that in my view a degree in a ‘real’ subject is more worthwhile than a degree in Media Studies. The most important thing to work in the creative side of television is a sense of curiosity, and I think that’s better nurtured by the more traditional degree subjects such as English, Languages or Law. What are your main work activities? My job is fundamentally about coming up with great TV programme ideas, selling them to broadcasters and then overseeing their production and delivery. Any one of those activities may be taking place on multiple projects at any one time so there’s a lot of juggling. How do you use your degree in your job? My degree in Music (insofar as I remember what I learnt!) is useful when I’m making programmes about music, but that’s not always the case. I’ve made programmes about everything from nightclubs through to gardening and stately homes. I think your degree becomes decreasingly relevant in your work as you begin to build on it with real work and life experience. What are the most challenging parts of your job? The long slog of pitching new ideas and the torrent of rejections one gets before winning a commission. And the fickle nature of our industry which is riven with politics! Career highlights/best moments? I produced a film for BBC Two 10 years ago about the role music played in Auschwitz. Making that film was without doubt one of the most extraordinary experiences of my life (let alone my career). The film went on to win a hat-trick of a BAFTA, an Emmy and a Royal Television Society Award, so that has to go down as an abiding highlight. Where do you hope to be in five years’ time? To be running a creative and profitable organisation, making memorable output, staffed by happy productive people. I think Reef Television can tick most of those boxes actually! To find out more about careers within Television, visit Careers Tagged.